These are not just any refried beans. One taste and you won’t want store bought anymore. 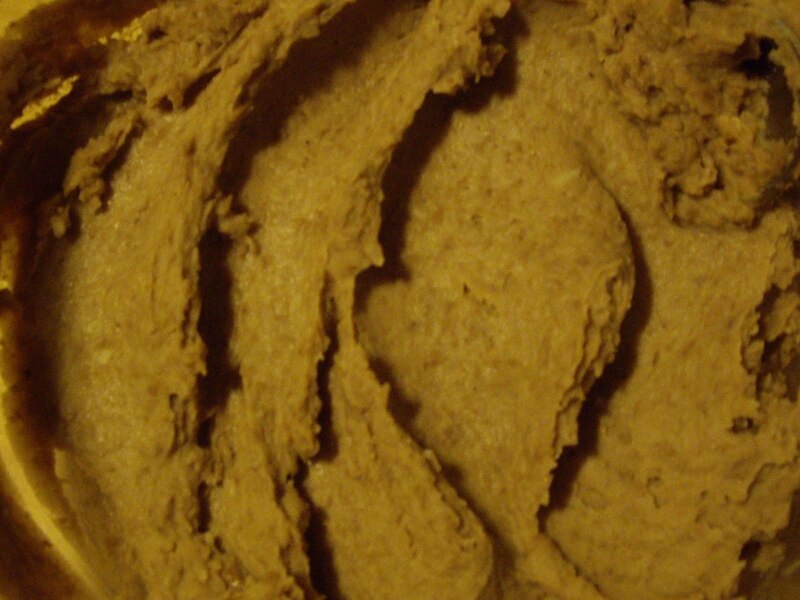 Most refried beans are some mashed beans and some whole beans. This version is all smooth beans. These are very authentically Mexican. Thanks to Rick Bayless for showing me how tasty refried beans can be. This recipe calls for bacon grease or lard. This gives the best flavor, but you can use a vegetable oil to cut out the cholesterol. You will need a food processor or blender. You will also need a large skillet. 4 cups undrained, cooked beans-whatever variety you want to try, Pinto is what I mostly use. Use canned or homemade, slightly warm. Put the beans with some of the liquid into the container of a blender or food processor. Heat the bacon grease in the skillet. Add the onion and cook until it is golden, stirring frequently so it doesn’t burn. Stir in the garlic and cook for about a minute. With a slotted spoon scoop the onion and garlic in with the beans. Puree the beans until smooth. Keep the grease hot and add the puree. Cook over medium low heat for about 20 minutes or til the beans are as thick as you want them. Stir frequently. Taste test and add salt, if needed. The beans should be quite thick and seem to have a soft mashed potato like consistency. Great by itself with maybe some cheese sprinkled on top. You can also serve with chips or as an ingredient in another dish.